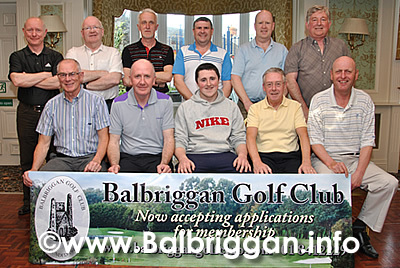 Balbriggan Golf Club was established in 1945. Throughout the years with the course improving all the time it provides a challenging and fair test for players of all handicaps. As well as great golf the members have enjoyed many great social nights in the clubhouse. 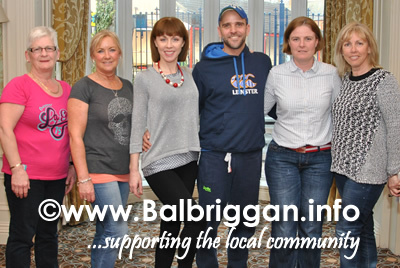 The social scene now moves to the Bracken Court Hotel on the 19th April 2014 where Balbriggan Golf Club will stage their version of Strictly Come Dancing. The idea was conceived over lots of tea on a freezing December morning in the golf club. One of our lady members Deirdre Foran had attended a Strictly event and thought it would be a great idea to try and organise a Strictly come dancing event for our club – so the committee was borne. Deirdre Foran, Barbara Kenny Collette Guildea, Rachael Colfer & Frances Whelan are the Strictly Come Dancing Committee and a lot of hard work has been carried out. Kevin Woods & Bernie O’Rourke were booked as the Choreographers, the venue was booked, date set and now all we had to do was get some dancers. We could not have anticipated the enthusiasm from the Men and Ladies of our club . We have 12 men and 12 ladies all giving their time and energy in full training for the event. Indeed we have a great mix of dancers across the board we have a husband and wife couple dancing, father and son, both 2014 club captains, past captains and members of our club all dancing in the event. The dancers are working hard practicing 2 nights per week at the moment. 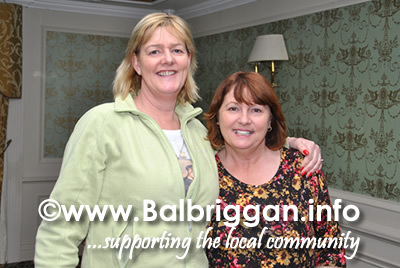 We must thank the Bracken Court Hotel’s Manager Jean Bermingham for all her help in organising everything for us. Some of the dancers have also practiced in vacant Barn called “ The Cow Shed “and in a local dance studio in Railway Street. One of members John Pesic has come each week to record the dance moves and email the routine to all the dancers so they have every opportunity to make sure they have it right on the night. We can also say that while out golfing it is not unusual to see some of our dancers practicing their moves and twirls when they think no one is watching !and that’s just the men !! We know work shifts have been moved indeed some holiday were cut short to get in all the practice for the night. 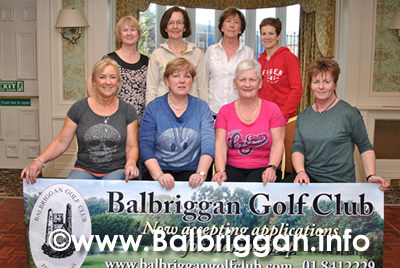 We also know there has been great laughter & fun as well as friendships made with the dancers of Balbriggan Golf Club Strictly Come Dancing. The tickets for the event are restricted to 300 for the night and thankfully there is great demand for them. Tickets may be purchased from any of the Committee. We know everyone who attends the show will have fun on the night voting for their favourite dancers..